Since May, our training team focused on using ICT to inspire students , teachers and community members. 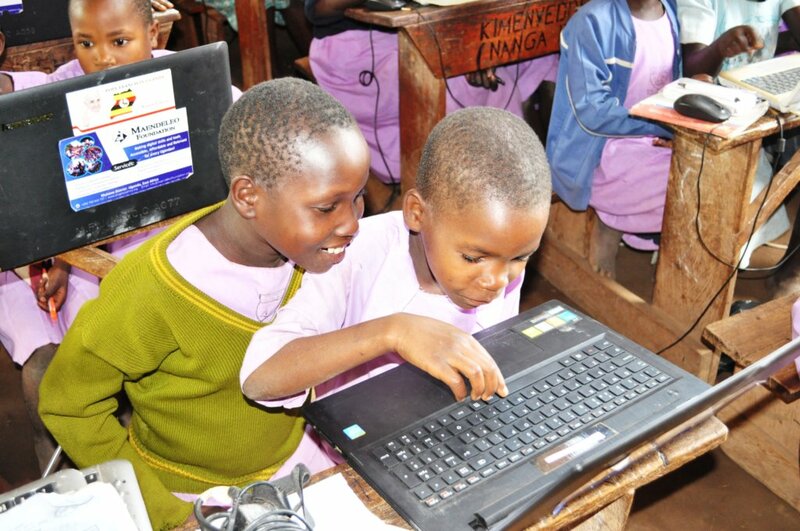 The project reached over 3,200 students out of which 62 students were touching the computer for the very first time. In addition to our usual trainings, students were given a chance to show case thier skills and interests through an exploration day.The exploration day held at our partner schools showcased student's projects, skills, and gave students a platform to share their passions, dreams and how the ICT trainings have inspired them. Students like Letitia excitedly shared their dreams and passion for ICT with the whole school community.
" My name is Letitia, I am 12 years old and a student at St.John's Education Centre . Learning how to use a computer and different gadgets like a camera, projector and mobile phones has really made me gain interest in ICT. 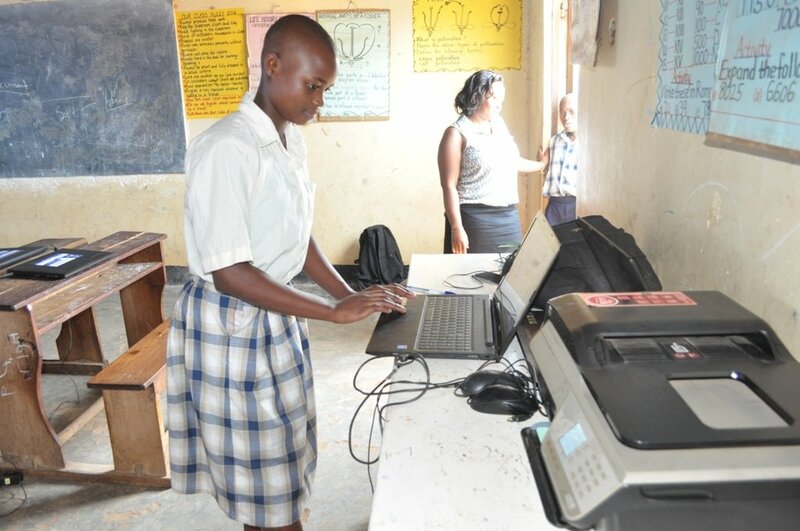 My dream is to become a computer programmer and with these lessons, the journey to my dream is more clear.I have gained a lot of skills and i am excited when my ICT teachers allow me to teach my fellow students.I am determined and committed to learn more skills so i can support more students in my school." Letitia's story mirrors many of the students whose learning has been changed by our ICT lessons and we will continue to serve our partner schools so as to inspire more students. We focused on getting students to explore , create and lead group discussions. It was quite exciting to see students so excited and engaged in learning new skills. We believe that children learn through playing, imagination and self-discovery, so our ICT trainers not only allowed but also encouraged playing during the lessons. The program reached 3, 200 students and 50 in 6 schools. 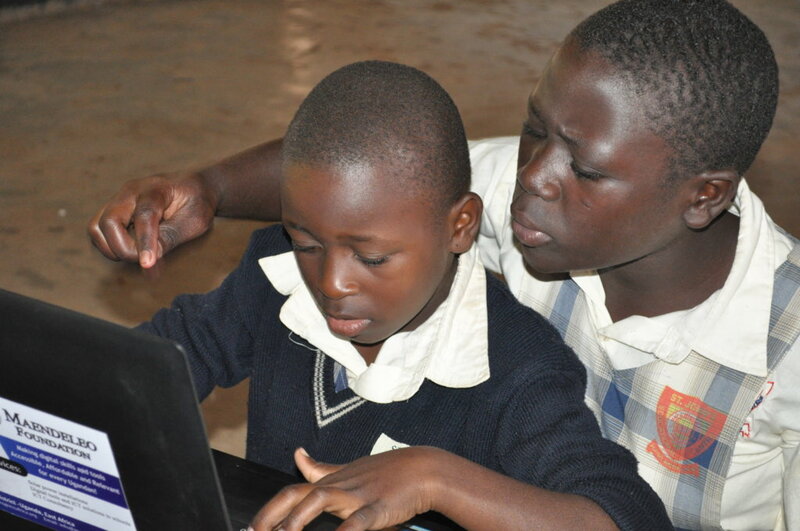 “Every Monday, at our school St John’s Educational Centre Kigombya, we get computer lessons. Every lesson we have is always enjoyable and important because of the games we always play like keyboard games, mouse games and typing puzzles. I have been able to improve on my performance in English because of the writing and spelling practice I get during computer lessons. I learn a new word and spelling every Monday and I have used these words in other subjects. My favorite that I learnt during the computer class is “wonderful“and I enjoy using it to construct sentences in my English exercises. “Trisha Mukoya, P.6 Class. Throughout the year, Maendeleo Foundation has continued to reach students, teachers and youth in suburban, rural and remote schools, libraries and communities with the Mobile Solar Computer Classroom (MSCC). Our dedicated two training teams of 2 instructors and volunteers have spent time training people to use computers in order to enrich their educational, work and life experience and opportunities. 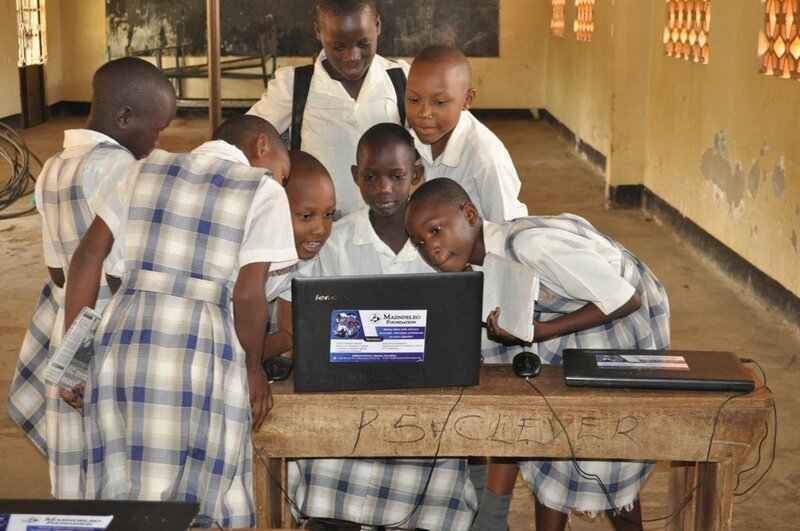 The Mobile Solar Computer Classroom (MSCC) has actively provided services to 10 schools and 2 rural libraries and 1 community centre across Uganda. The project has reached over 3,000 students, 20 teachers and over 150 community members this year. Our trainers have seen firsthand, children improving in other areas such as grammar, reading and writing, collaboration, research, problem solving and creativity. Parents have expressed their delight to see their children teaching them various skills on the computer and explore their mobile phones. 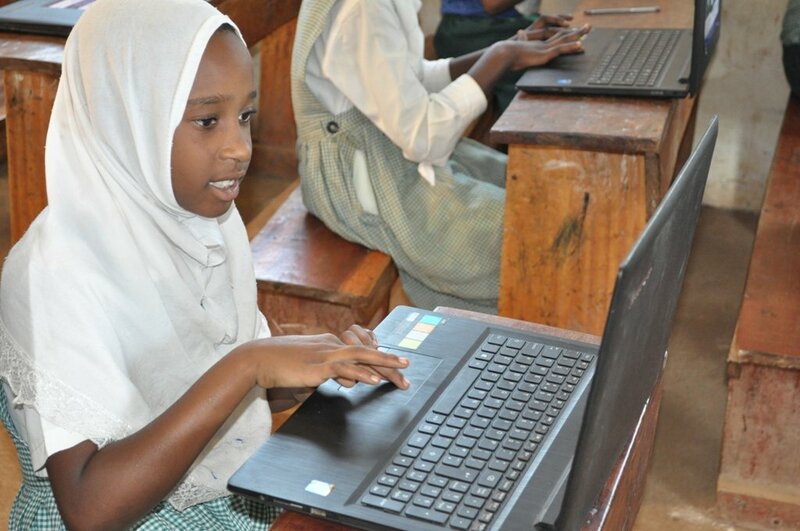 All the schools we have worked with this year registered an increment in the number of student’s joining their schools as a result of introducing computer lessons in the schools. 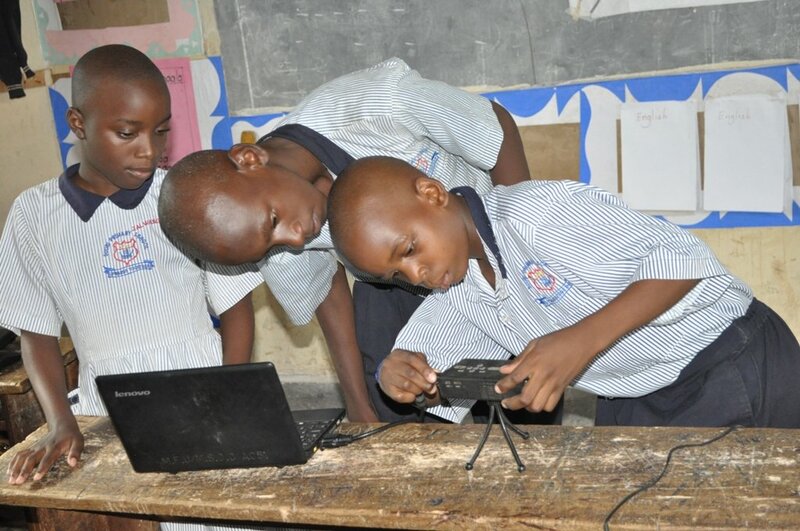 Parents are yearning for their children to get an opportunity to acquire technology skills and our partner schools are an answer to their need. With the ever escalating unemployment levels in Uganda, out school of youth are always at a disadvantage due to lack of practical skills. Through community outreach ICT camps, over 140 youth have been empowered with basic ICT skills to help them write CVs, access job and entrepreneurship information as well as learn how to take advantage of the internet to look for opportunities. 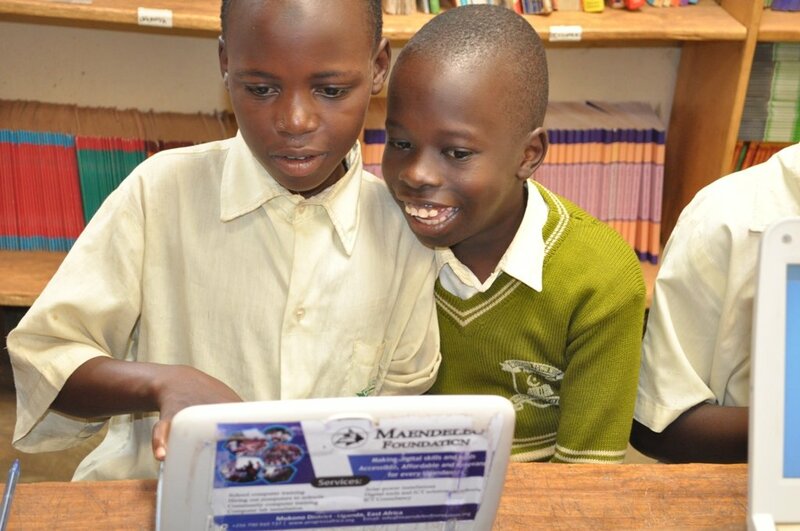 In the coming year, Maendeleo Foundation will continue to expand the MSCC project to new primary schools, libraries and communities. Our staff and trainers are constantly working to improve and add to the curriculum we have developed for students, teachers and youth and we look forward to partner with computer programmers to improve our software and games that our trainees enjoy so much. Most importantly, we will continue to do everything possible to eliminate the challenges faced by the MSCC including;- limited number of computers, limited number of staff, low literacy levels, constant breakdown of our vehicles, and inconsistent attendance of children (especially in rural areas), We are confident that all of these obstacles can be overcome with time ,dedication and the right partnerships. The Mobile Solar Computer Classroom passionately continues to extend computer skills and knowledge to rural schools, libraries and communities, supporting; girls, youth, farmers, health worker and other community groups get skills and information to improve on their livelihood thus closing the gap between the rural schools and urban communities in terms of ICTs and modern Technology. Schools recently took their break for term two and it’s a great opportunity to share our fun moments at schools throughout the term. The term was filled with exciting activities for our students that ranged from creative writing, picture painting, working on puzzles and design projects. We focused on building collaboration amongst students and supporting students discover how fun working together can be and how creative they can get when working in groups. Students were paired in groups and they worked on activities that called for contribution from each student. 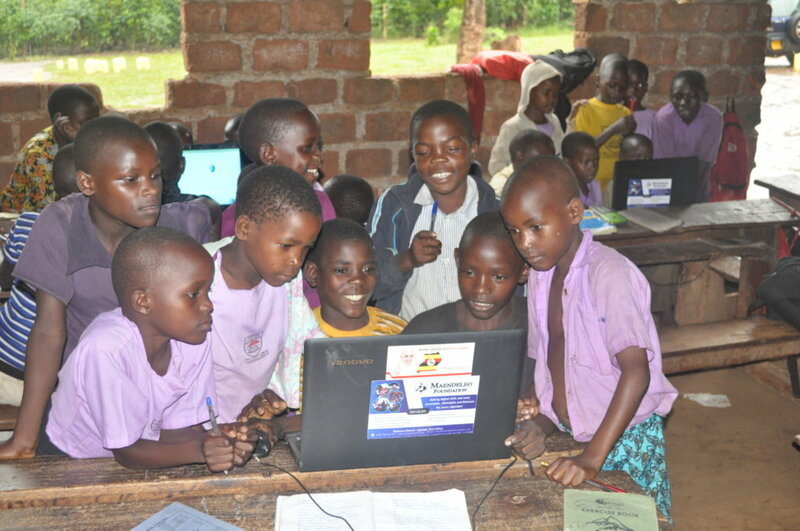 “When we introduced Easy Typing Puzzles ( one of the games on our emPower self teaching software for beginners) to primary four students at Kiyunga Islamic Primary School, they were so excited at first because they had started something new but after a few minutes, the giggles and smiles turned into silence and sad faces. One of the students said the game had really challenged them. After a while the students decided to pair themselves up to also challenge the computers. They were so happy this technique worked because everyone made a contribution. It was amazing to see children seeking each others’ support and how well they worked together." Throughout the months of April, May and June, Maendeleo Foundation has continued to reach students in rural and remote schools with the Mobile Solar Computer Classroom (MSCC). Our dedicated instructors have spent time training these students to use computers in order to complement their educational experience. 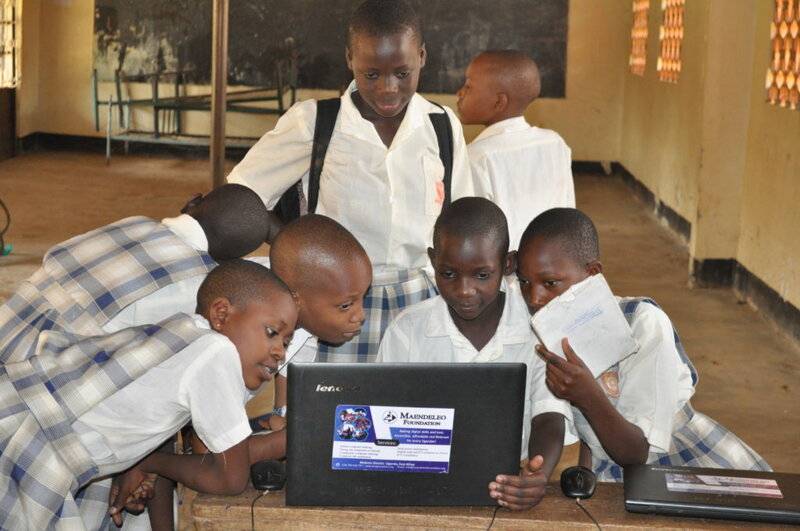 This term, the MSCC is active in seven schools across Uganda. 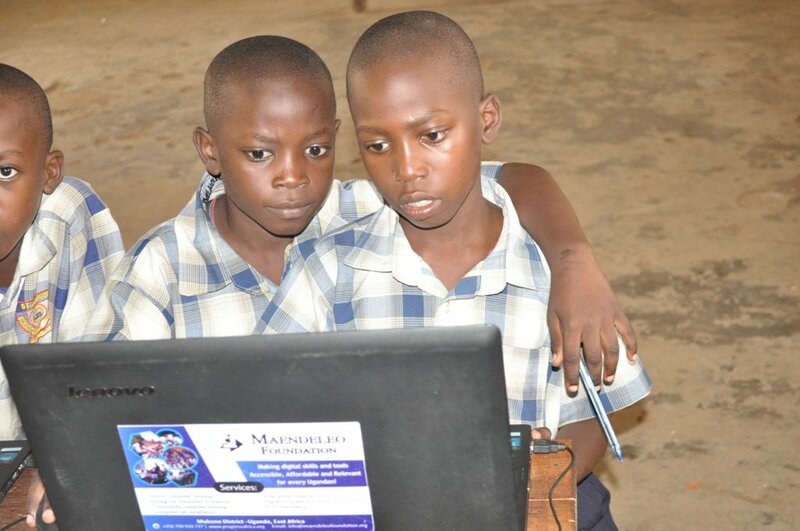 The MSCC continues to empower children and provide them with essential technological skills. 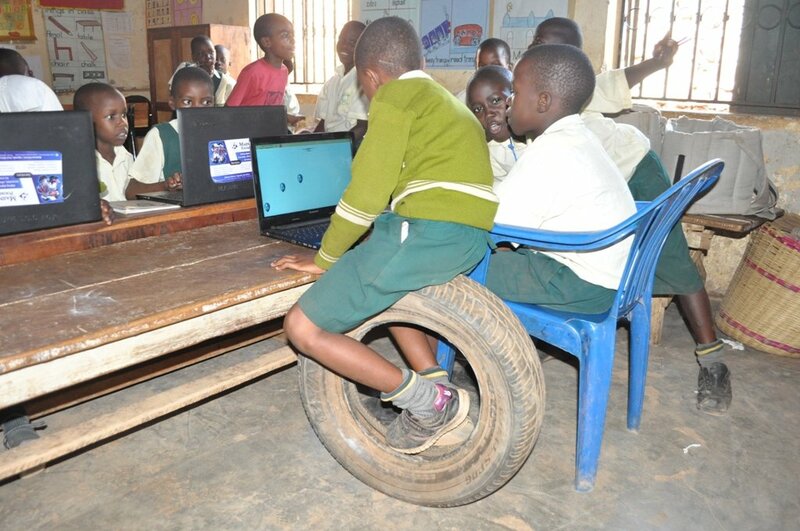 Maendeleo sees the value in introducing children to technology as early as possible, and offers services to students starting in primary three. 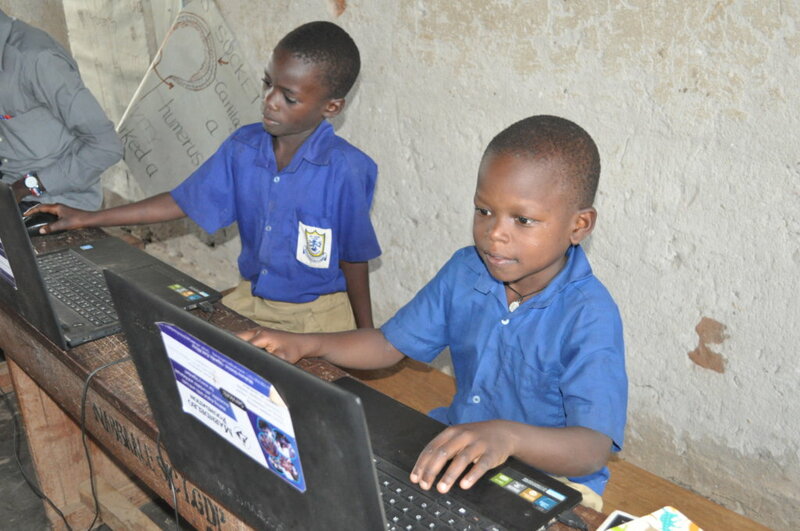 Many of our students report that they have never seen or touched a computer before, and we have been extremely impressed with their progress over their time with the computer classes. As expressed in the following table, the MSCC reached nearly 1,600 students in recent weeks and 1, 984 community members. Recently, our ICT trainers have reported many achievements from the MSCC classrooms. Students did exceptionally on their computer exams from the past school term, with nearly 54% of students testing above average and every single student showing great improvement from their initial knowledge. In addition to scores, the trainers are proud of their MSCC students for improving their grammar and English skills, working diligently to complete their computer class homework, using their creativity and problem solving skills, and using teamwork from very young ages. 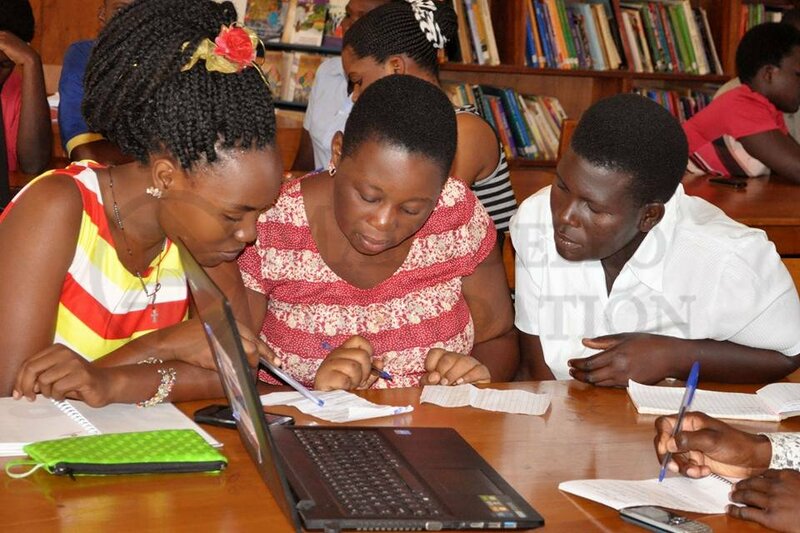 Through partnership with Caezaria Public Library, the project sensitised community members and demonstrated the power of technology in improving literacy. This letter written by the Library Director, Mr. Kigobe Francis best describes the project's impact in the community of Buikwe. 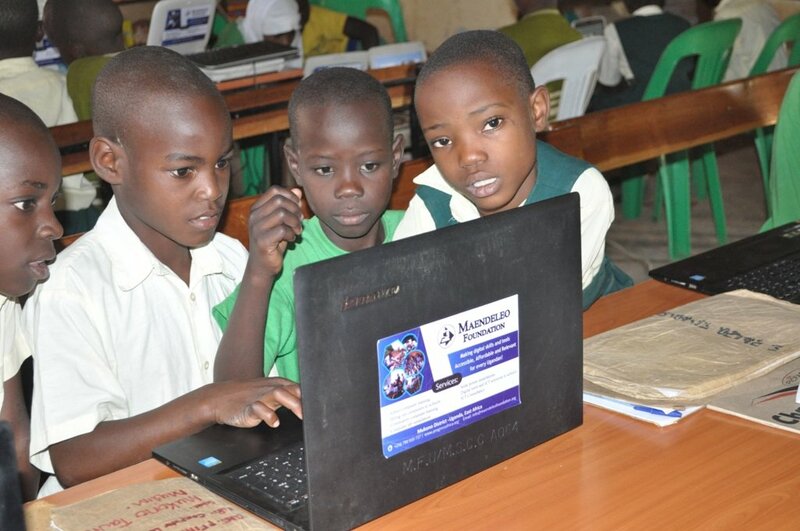 "With gratitude, we extend our appreciation to MAENDELEO FOUNDATION and the Mobile Solar Computer Classroom Project for making our Book Week Festival that took place on 14th-18th March 2016 at our library in Buikwe, Uganda, a great succes. Your Mobile Computer training program left many of the participating schools in need of this service in our area and the community members fullly aware of why they need computer skills.We appreciate all your commitment towards the efforts your towards literacy improvement and reaching the unreached with computer skills." In the coming months, Maendeleo Foundation will continue to expand the MSCC project to new primary schools. Our staff and trainers are constantly working to improve and add to the curriculum we have developed for students, and our computer programmers work to maintain the software and games that our students enjoy so much. Most importantly, we will continue to do everything possible to eliminate the challenges faced by the MSCC including limited resources, disruptions by our cars that constatntly breakdown, uncertain conditions, inconsistent attendance of children, and language barriers when students’ English is not proficient. We are confident that all of these obstacles can be overcome with time and dedication. 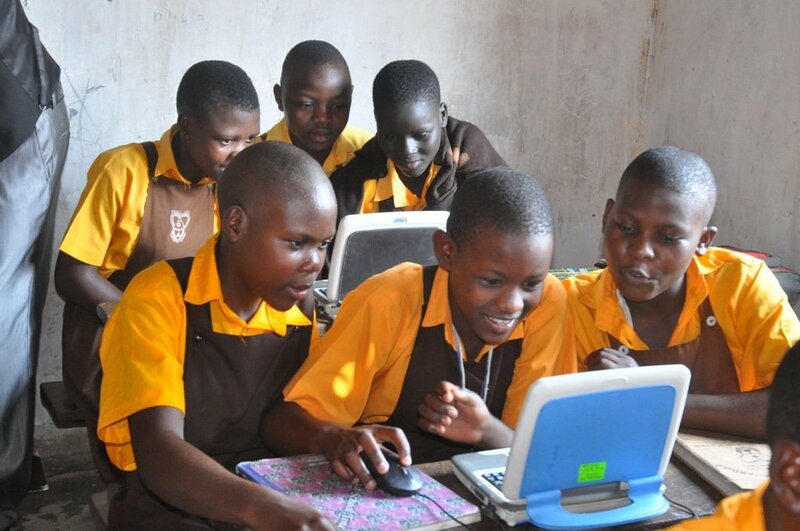 Find another project in Uganda or in Technology that needs your help.